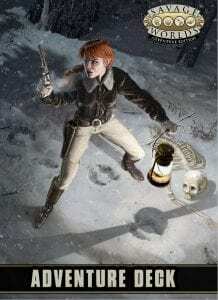 The Big Easy: A Deadlands Noir Card Game – Coming to Kickstarter! 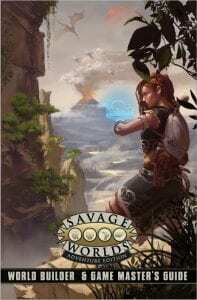 We here at Pinnacle are VERY excited to team up with Last Lion Games for the first of what we hope are many card and board games based on our properties! 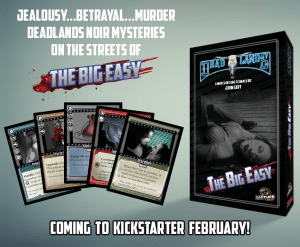 First up is The Big Easy, a stand-alone card game that takes place in the world of Deadlands Noir. 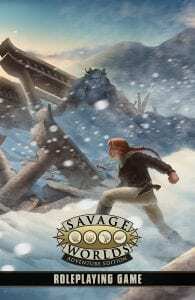 Best of all, the game was designed by the author, himself, John Goff (Deadlands Classic and Reloaded, Deadlands: Hell on Earth Classic and Reloaded, and many others). The Big Easy casts you in the role of a hard-boiled private detective, patent scientist, houngan, or other noir hero. Your gumshoe must prowl the mean streets of depression-era New Orleans to solve a gruesome murder or other mystery. Along the way you’ll encounter some of the city’s most unsavory characters, cultists, and criminals. You’ll also run afoul of terrible monsters like crossroads demons, Hydes, tonton macoutes, and more! But the greatest challenge will be racing your rivals to solve the mystery…and earnin’ a hell of a payday. To learn more, visit Last Lion Games and sign up for the newsletter, so you’ll be the first to hear when The Big Easy comes to Kickstarter soon, along with other news and updates.